2.) 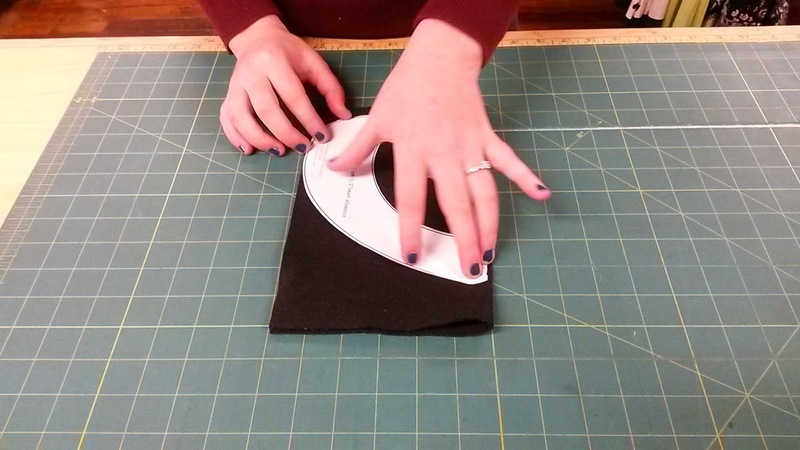 Fold your felt square in half, line up the center back of your pattern on the fold. 4.) 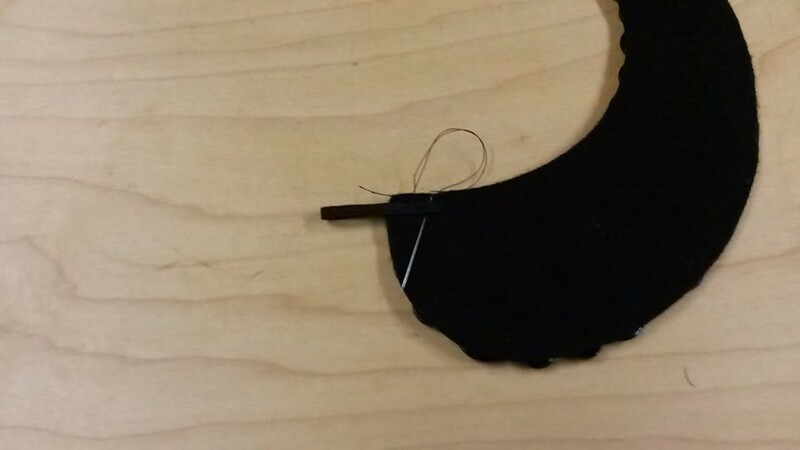 Remove excess felt and you should be left with something like this. 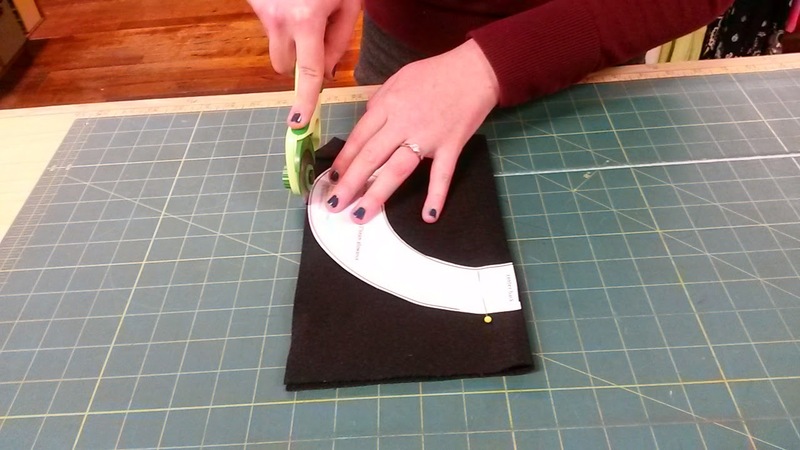 Remove your pattern and unfold your felt so that it lays flat. 5.) 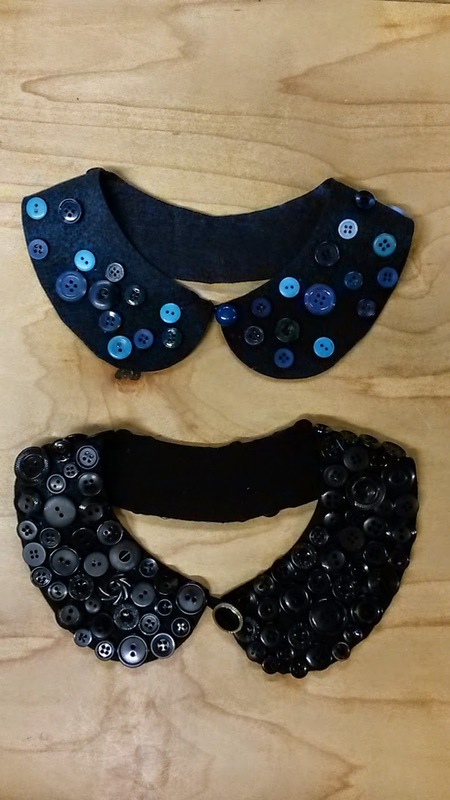 Use your glue to attach buttons in desired location, our examples show one collar completely covered in buttons and one with more of a spread out pattern, the creative possibilities are endless! 6.) 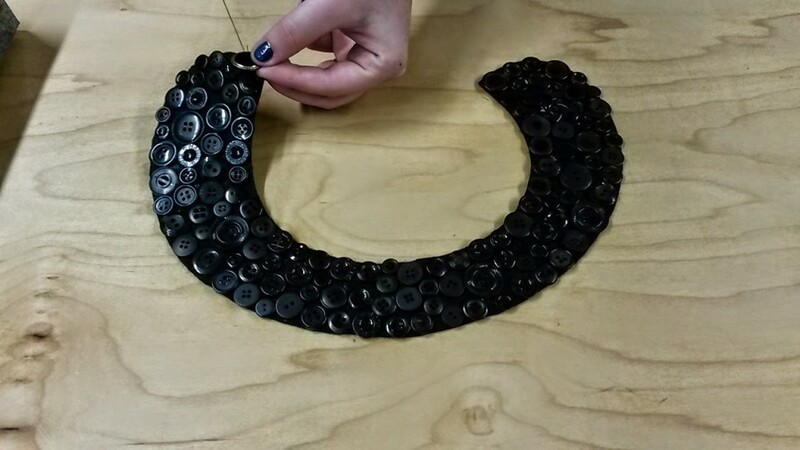 Once your design is complete, let sit for a few hours or overnight to dry. 7.) 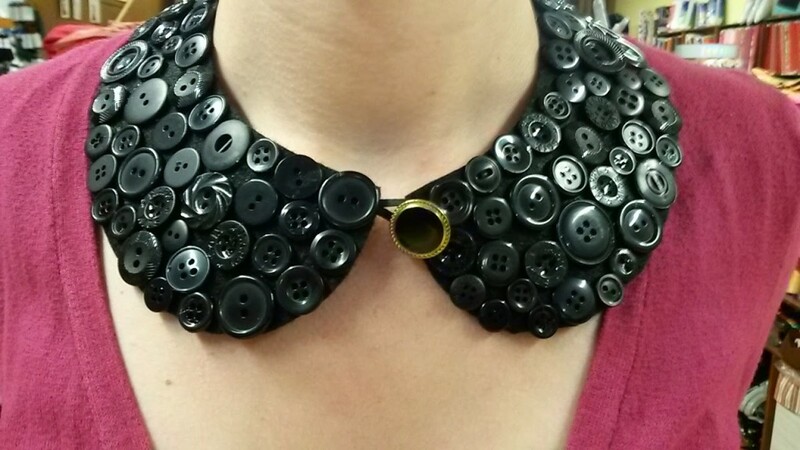 With your needle and thread attach your clasp button to one side of your collar opening. 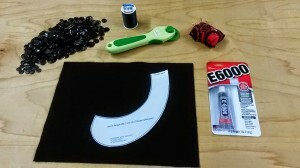 8.) 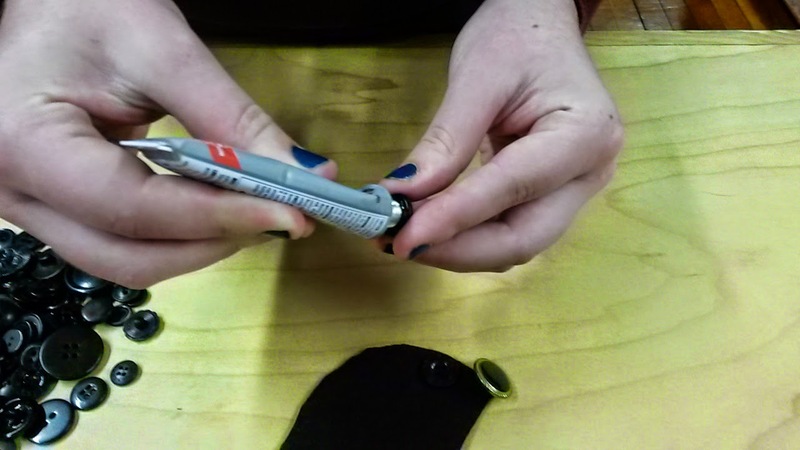 Attach a 2.5-3 inch piece of elastic or ribbon, folded in half to make a loop for your fastening button to go through, to the other side of your collar. 9.) 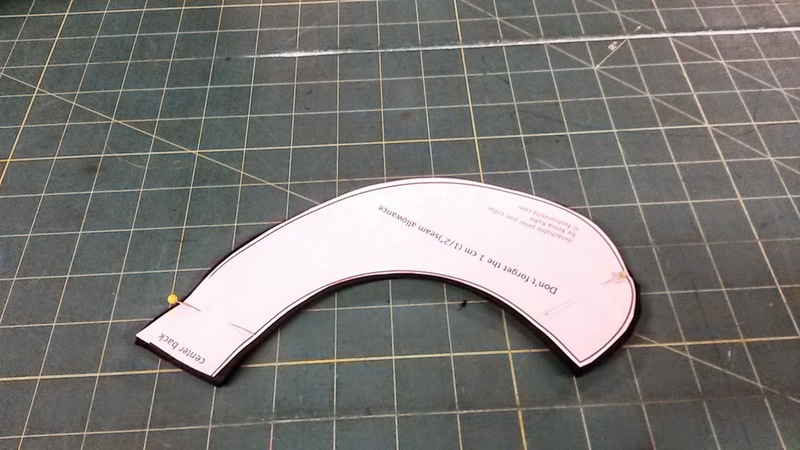 Enjoy Your Finished Project!